The Curie Point Depth Mapping Pilot Study over a small area of northwestern British Columbia. Curie point depth mapping uses regional-scale magnetic survey data to map the depth in the Earth's crust where magnetization disappears. When used in combination with other data (e.g. heat flow) it can be used as a regional-scale geothermal prospecting tool. 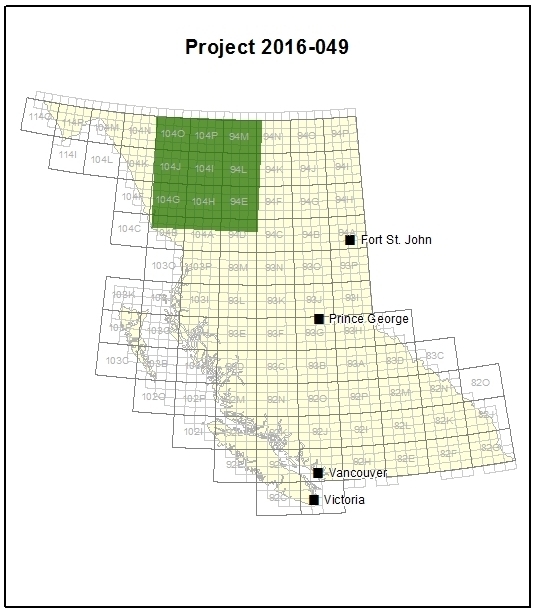 The Curie point mapping pilot study was over 350 km x 350 km region of northwestern British Columbia. Based on the results, the authors recommend using the Curie point depth mapping technique across BC to help guide geothermal exploration programs.